Lock in a great price for Hostal Linares – rated 8.5 by recent guests! It closes to city center and bus station. Staff is friendly. 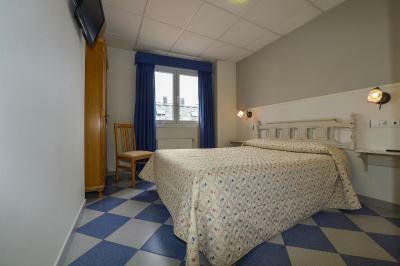 The bed was very comfortable and the cleanliness exceptional. 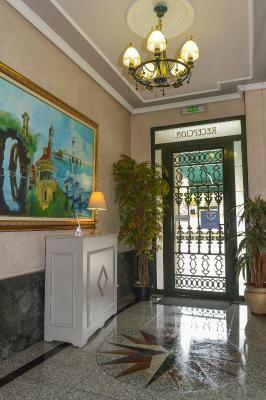 Value for money, comfortable, bathroom facilities, good location for restaurants and bars and in the old town. 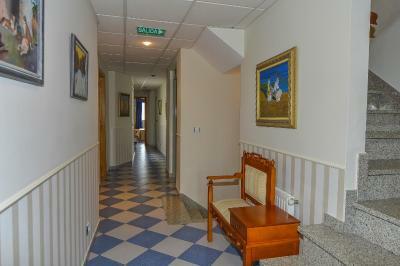 Very clean and centrally located, close to bars and restaurants (go and eat pulpo in one of the pulperias! ), nice staff and ok bar at ground floor. Very good value for price! 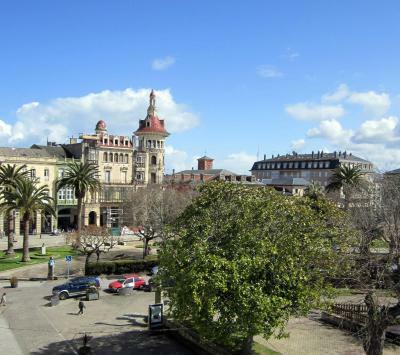 Good and central location in that charming small town! 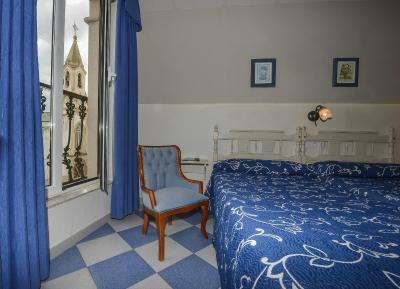 A bright light bedroom with view over the Plaza de Espana. Very clean and tidy. 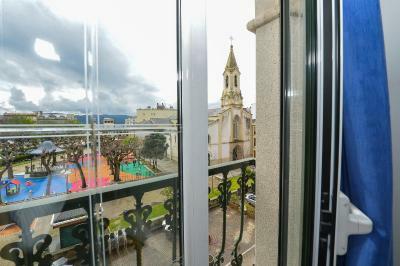 Located in the city center and 0.5 mile away from the autobus station. Easy to get everywhere as Ribadeo is a very small town. 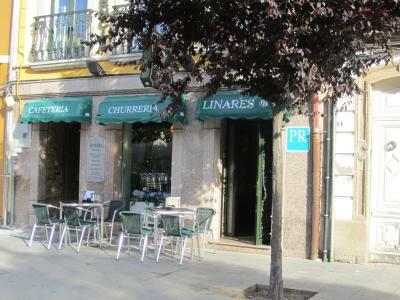 Room is clean and the cafeteria Linares is right downstairs. A very good choice for one-night stay. Quaint small hostel right on the plaza. Parking was easy just across the small park. 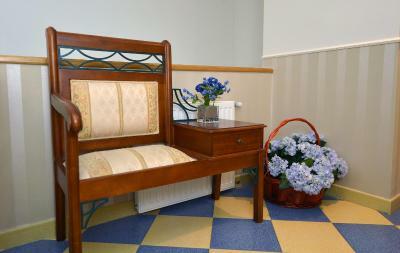 Simple decor, very comfortable beds. Windows double glazed, though no street noise during our stay mid May. Cafe below owned by the Hotel has great coffee and churro. Very good value, perfect for a night or 2. 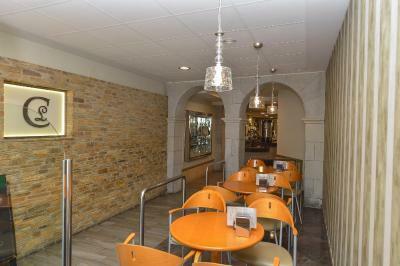 Restaurants and cafes all around offering good choice of food and wine. 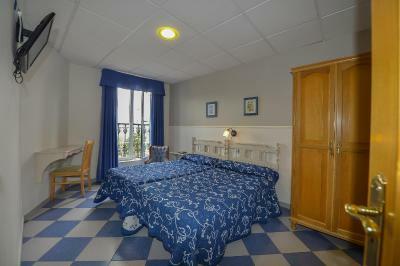 For a budget hotel, exceptional. These 1 and 2 star places are the best to stay in to have a true local experience. 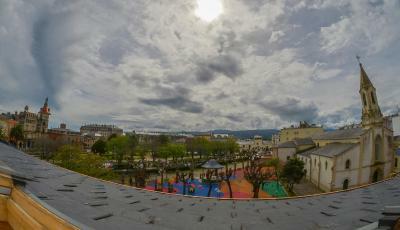 Good location in the centre of town. Room basic but clean and comfortable. 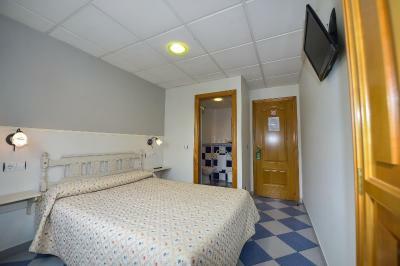 Good clean central accommodation, breakfast included was juice or coffee and toast or churros. 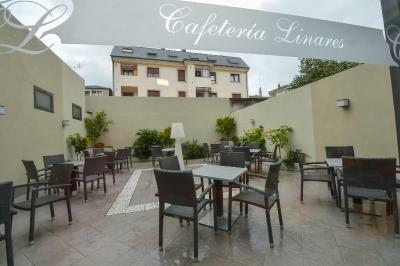 Hostal Linares This rating is a reflection of how the property compares to the industry standard when it comes to price, facilities and services available. It's based on a self-evaluation by the property. Use this rating to help choose your stay! 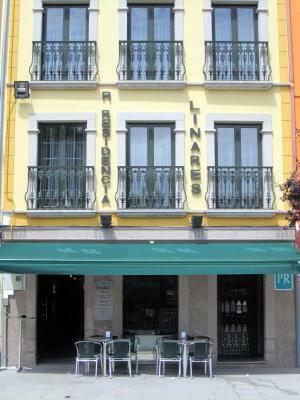 Located in Ribadeo Town Center, Hostal Linares features double, twin and triple rooms with private bathroom. Free Wi-Fi is provided, and free public parking is available nearby. 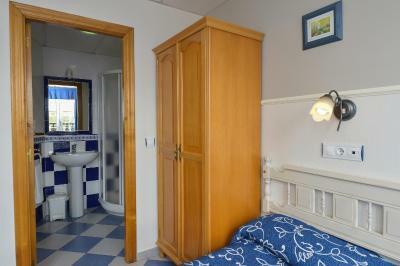 Simply decorated, all heated rooms have a TV, and a wardrobe. The private bathroom comes with shower and free toiletries. 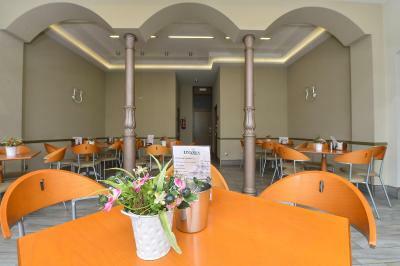 A breakfast is served every morning at the bar inside the property; and you can find a selection of shops and supermarkets in the surrounding area. 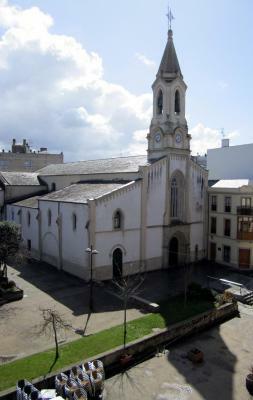 Hostal Linares is 100 mteres from both the Convent of Santa Clara, and the Church of Santa María do Campo. Popular Port of Porcillán is 0.6 mi away. 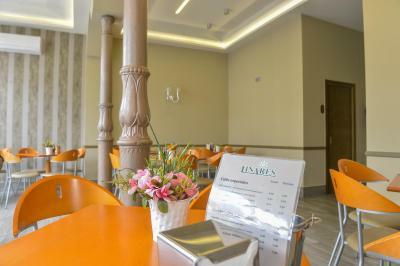 When would you like to stay at Hostal Linares? 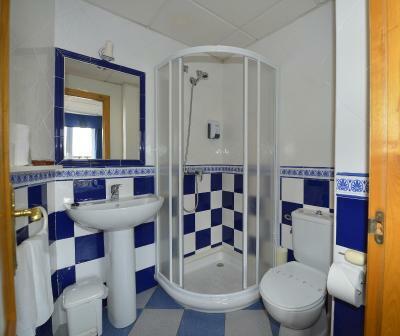 This heated room features a TV, a wardrobe, and an private bathroom with shower and free toiletries. 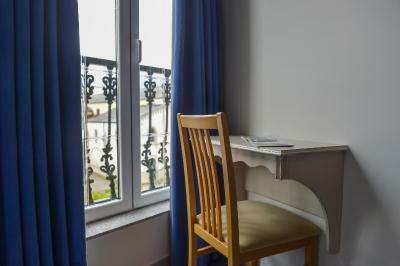 House Rules Hostal Linares takes special requests – add in the next step! Hostal Linares accepts these cards and reserves the right to temporarily hold an amount prior to arrival. 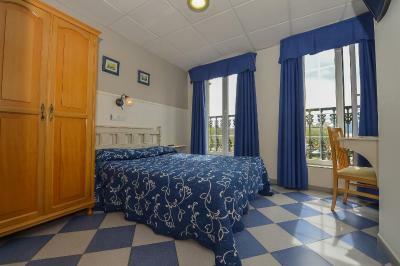 Please note that extra beds are subject to availability and confirmation by the property. It is too noisy. It is a room above bar. 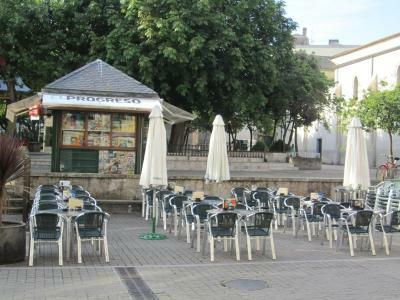 In addition it is right in the middle of the main commercial street with restaurants and bars. The noise did not calm down till 3 am and then started again at 7. The place is clean and comfortable. The staff were a bit distant. Not the hotel's fault but the parking is very difficult in the vicinity. Excellent central location. Very comfortable. Room is a bit small, particularly the bathroom.